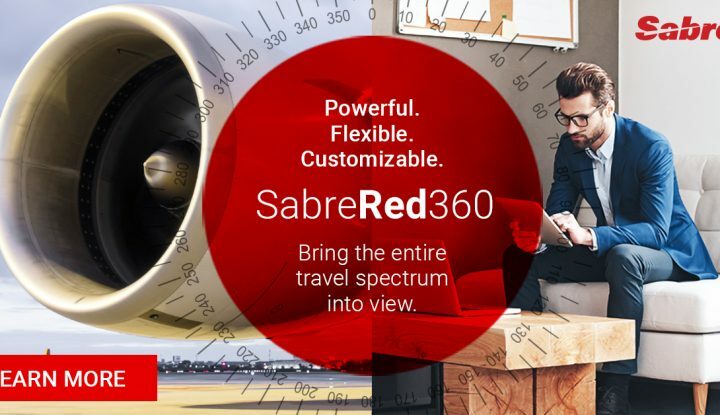 The newly announced Sabre Red Workspace, which was introduced at the TTX-Miami event, looks to be a game changer in the travel industry. 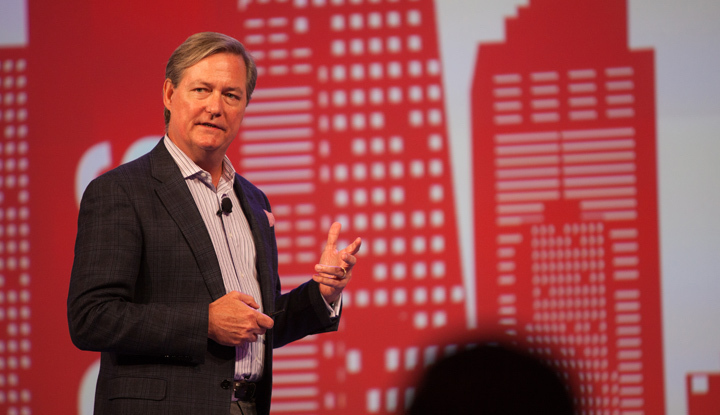 When Wade Jones, SVP of marketing at Sabre, made the announcement, TTX attendees got a firsthand look at the new workspace. 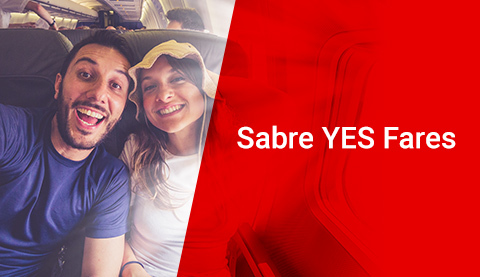 It was clear from the get-go that Sabre Red Workspace’s new capabilities will appeal to travel agencies, travel providers and travelers alike. The power of the new Sabre Red Workspace became really apparent during one of the demo sessions for the new solution. As the presenter went through the demonstration, you could see that the interface (available in both classic and graphical versions) was intuitive and user-friendly, with built-in tools that would help make the travel consultant’s job easier. I can appreciate how the ease of use could reduce training time so that even newly hired consultants are up and running in no time. Probably the biggest “wow” for me during the demo was the strong business intelligence data the new Sabre Red Workspace provides. 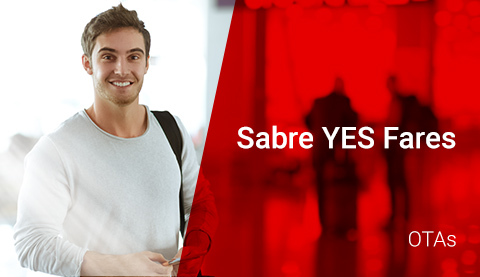 Sabre uses its technology to deliver greater awareness and understanding through the workflow, delivering information on alternative airports, alternative dates, travel seasonality and fare trends right at the consultants’ fingertips. See how much money could be saved by flying into a nearby airport or by departing within a few days. The shopping behavior has changed and travelers shop persistently, looking for the perfect fare, and the most convenient itinerary. 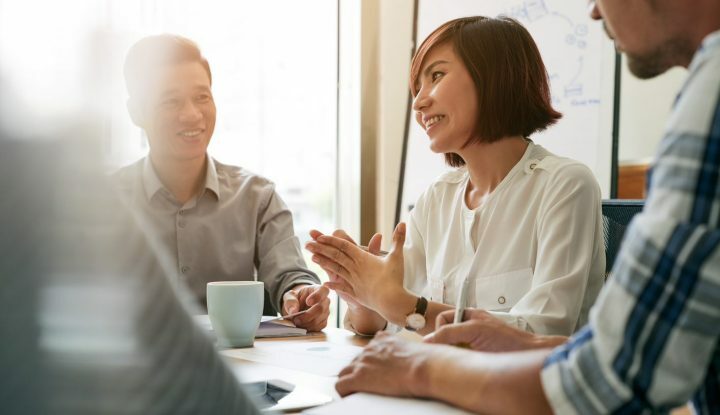 Armed with improved comparison shopping and better price transparency, it’s easy to see how consultants can better serve travelers as they shop, book and manage travel arrangements with greater ease. For example, a travel consultant can see with a glance how much money could be saved by flying into a nearby airport or by departing within a few days if the traveler has that flexibility. 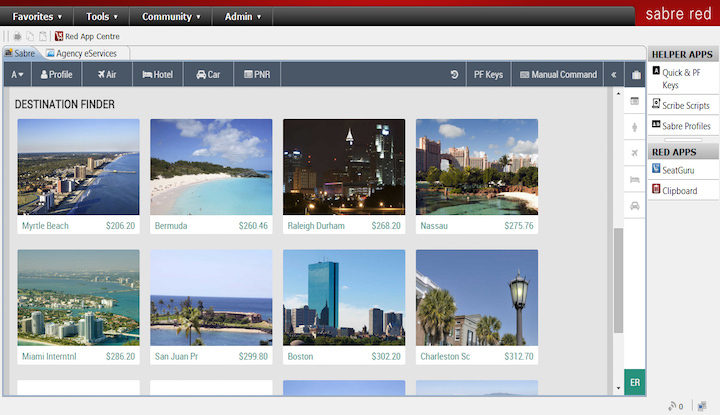 And it’s not just travel agencies that will benefit from the new Sabre Red Workspace. 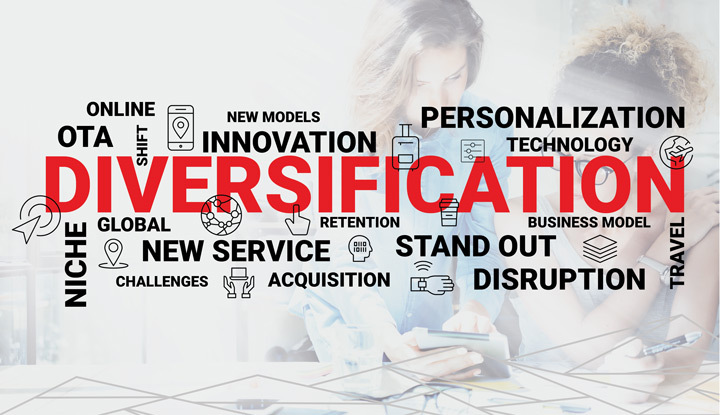 Travel providers can also employ several new ways to showcase and customize their offerings. 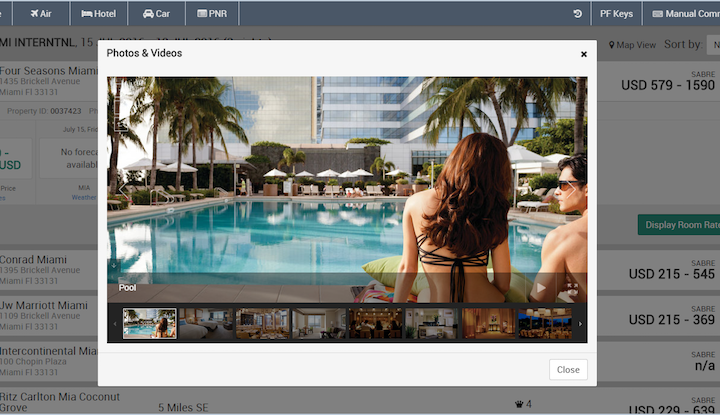 During the demo I saw images of hotel properties that can vividly support the travel consultant’s ability to offer travel options. These product showcase opportunities put travel providers’ bundled offers and pricing front and center so consultants so can offer them to their customers. High-impact visuals, such as video, photos and media placements, offer more expansive product information at the consultants’ fingertips. “How much information is so quickly available to you and how it’s going to reduce time of training by not having to teach as much native command — that’s a potential to be a real game changer.” – Imer Vigil, General Manager, Happy Tours Travel Agency Inc.
Another important advantage showcased in the demo is the integration of Sabre APIs into the workspace’s “Decision Support Bar.” These APIs put industry travel trend information, such as seasonality, alternative airports, etc., right on the screen so consultants can reference them quickly. The Apps can help the travel agency dive deeper into details on air, hotel and car rental options, enabling consultants to be true travel advisers. “Widgets” can be customized by travel agency to display other information such as weather or graphical seat maps in a response panel. Let’s say a customer has a preference for beach, mountain or adventure travel. The travel consultant can use the widgets to search for more personalized travel experiences, a capability not usually possible when shopping only by city code. Travelers don’t have to know exactly where they want to go. Popular themed destinations within the area appear as recommendations. 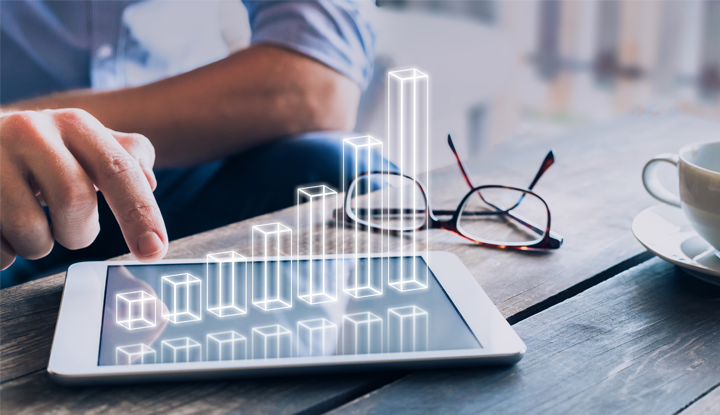 Of course, a positive impact to the bottom line is always a high priority for any business, and the capabilities I saw in the Sabre Red Workspace demo highlighted new ways to improve revenue. The addition of more travel content will provide additional cross-selling and upselling opportunities. Fare management functionalities, such as mark-ups, commission and overrides, will add even more revenue opportunities. 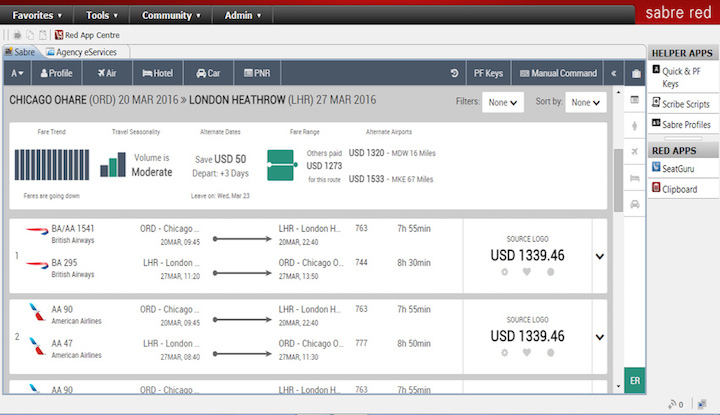 Overall, I came away from TTX quite impressed with the latest version of Sabre’s travel consulting platform. After this first glimpse, it’s exciting to see the possibilities of the new offering. 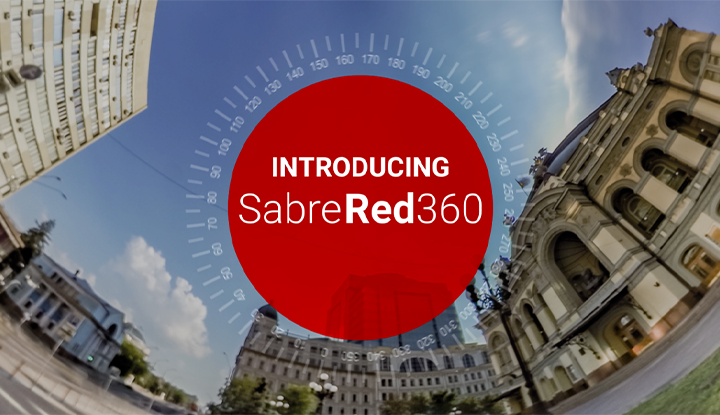 To learn more about the new Sabre Red Workspace, contact your Sabre account rep or click below. Linda Graham recently joined the Sabre point of sale team to assist with documenting the new Sabre Red Workspace launch. She is an experienced marketing and communications professional, primarily in the information technology industry.